What gets me are the number of parents who put helmets on their kids yet won’t wear helmets themselves. A fat lot of good it’s going to do a kid to have a brain injured parent who could have prevented the problem. I pull my two little granddaughters around in my inexpensive Schwinn Scout trailer. I’ve kept the speed down to less that 8 mph, and haven’t left the neighborhood. But the two-and-a-half-year-old is starting to insist “Faster, Grampa, FASTER!” *sigh* So it’s helmet time! I bought a Giro Me 2 for my son for his 1st birthday, along with a trailer. He wore it for about 30 seconds and took it off. Since then he hasn’t let me put it on or even bring it close. I know he’d love to ride, but I just can’t convince him to put it on. Now he’s approaching 2. I’m going to give it another shot, but if anyone has any tips, let me know! 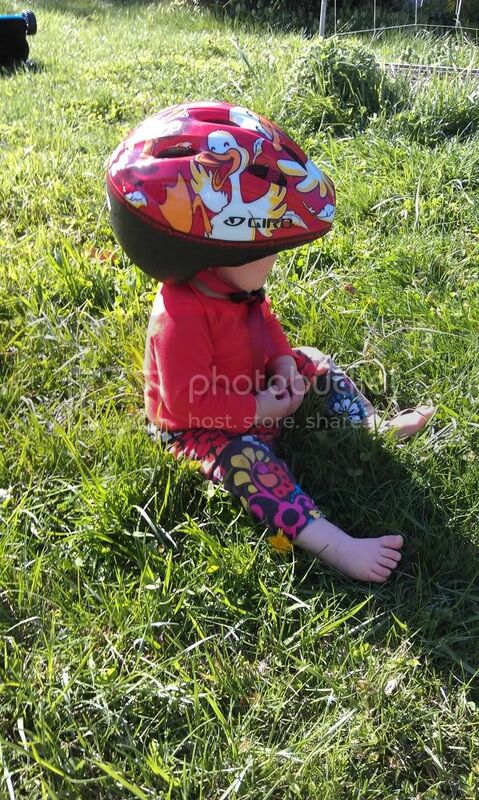 The local government recently passed a law require the use of helmets for all children, INCLUDING IN AN ENCLOSED CHILD TRAILER. So as the snow slowly melts I’m frantically trying to find a helmet for my son. He to is at 45cm and the Giro is the only one that adjusts snug enough, but it stick out about 3 inches behind his head, thus won’t work in a trailer. I’ve found the MET Buddy which claims to have a lower rear profile for use in trailers, and says 46-53cm but haven’t found a place that carries it. Has anyone else had a chance to get their hands on it? I’d check for the Bell Sprout or the Lazer. We have used the Lazer for a year and it seems to work fine in a trailer.